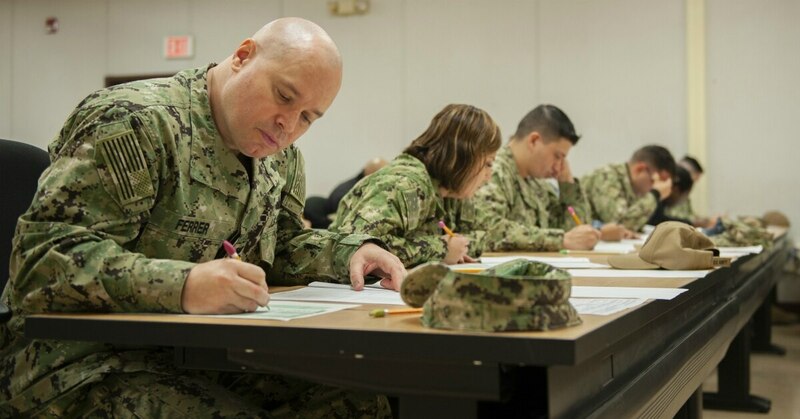 AUSTIN, Texas — After charting some large drops in recent years, usage of the military tuition assistance education benefit appears to be holding steady across most military branches — but not the Army — Defense Department data indicates. The biggest drops in the TA program over recent years have come in the Army. That trend shows no sign of letting up. The Army recorded about 82,000 TA users in fiscal 2018, according to information provided by Dawn Bilodeau, chief of Voluntary Education for DoD, during a military education conference in Austin, Texas, on Tuesday. That number is down substantially from the 98,000 who used the program in fiscal 2017. Taking the long view, Army TA usage appears to be down more than 30 percent since fiscal 2014, when 118,000 soldiers used the benefit. Bilodeau said that some of the apparent drop in Army TA usage between 2017 and 2018 may be the result of inaccurate data that the department has been working to correct. Meanwhile, the Navy, Air Force and Marine Corps are all on track to tally slightly more TA users in fiscal 2018 than they did in fiscal 2017. This is perhaps most notable for the Air Force, which has seen its number of TA students fall substantially over the past several years. By contrast, fiscal 2018 saw the Air Force increase its TA student count, if only by a modest 1.6 percent. Bilodeau also noted that slightly more TA students attended public, rather than for-profit, schools in fiscal 2018. For-profit schools accounted for 38 percent of tuition assistance usage in 2018, down from 43 percent the previous year. Over the same period, the share of TA students in public institutions increased from 30 percent to 34 percent. But that shift may not be the result of fewer students deciding to attend for-profit schools as much as for-profit schools reinventing themselves as not-for-profit. For example, Kaplan University, a for-profit, was acquired by Purdue University, a public school, and renamed Purdue University Global. “We did have some pretty big players change from one type of sector into another over this past year, and that is, I think, changing the numbers a little bit,” Bilodeau said.